Looking for one particular subject? Or want to search a broad subject like History? You can focus your searches by limiting them to specific databases or subjects. Enter one or more words and click Search. Explore your results. Open and view documents that interest you. A document can be anything from a newspaper article, to a photograph, PDF, or video. 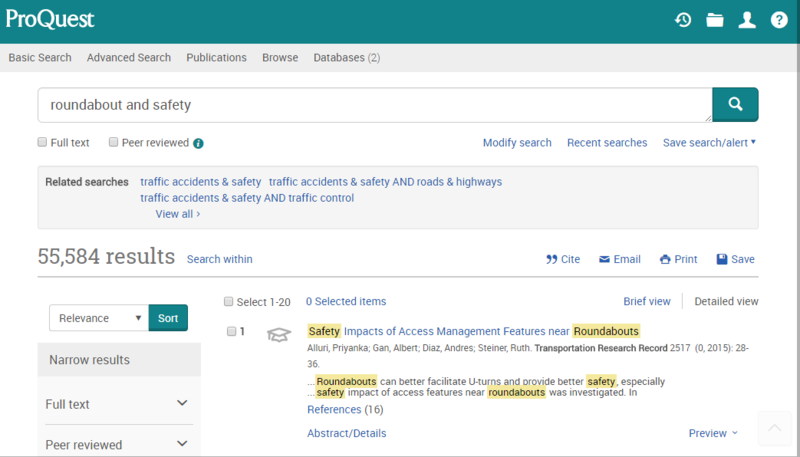 ProQuest looks for your words (search terms) in all fields—including any available abstract or full text—of all documents in all selected databases. When you enter more than one word, shale oil for example, ProQuest will look for documents that contain both shale and oil in any field, including any available abstract or full text. Surround your words with quotation marks—“eternal love” or “life after death”—to force ProQuest to look for your words as a phrase only, rather than finding each word separately.